It feels strange to be writing a beauty favourites post! I've never really been one to invest in beauty products because for the most part, I can't do much with makeup aside from applying some foundation so I don't startle everyone that I see. I'm excited and eager as I dabble further into the world of beauty products. There are so many great products that exist and hey, if you know how to use them properly (still learning how to wear lipstick!) then they can be a real game-changer. 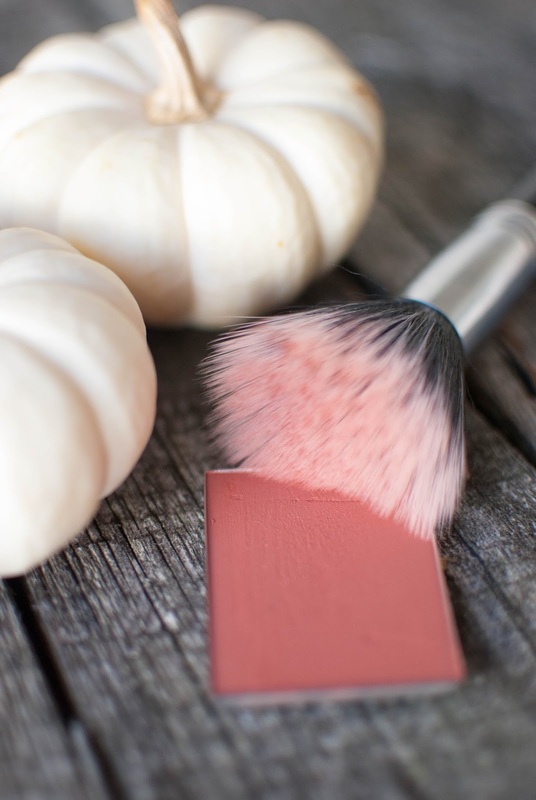 Maybe this sounds like an obvious statement, but I really love how makeup can change a look in an instant--one swipe of lipstick can be a lifesaver! As the cold weather rushes in (it didn't get above 10 degrees this weekend!) I'm focusing on keeping my skin hydrated and keeping the summer shine in my hair. Here are a few products I've been loving this month! As I mentioned above, lipstick is new territory for me. I'm a chapstick kinda gal! I find lipstick doesn't really do much for my appearance and I can never get it to stay on, so I've never given it a fair chance. I love this colour though and it will be a regular in my makeup routine in the coming months, especially leading up to the holidays! I have always admired women who can pull off a dark, vampy lip while I'm over here applying my vanilla lip balm, but hey - you've got to give everything a fair chance! 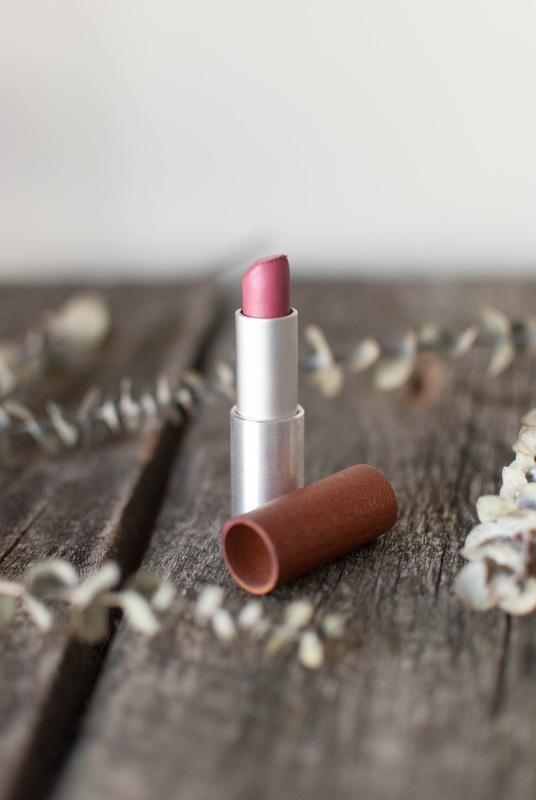 Much like most of the beauty products I've been gravitating towards lately, this lipstick is made with natural ingredients. Perfect! I have purchased my shampoo and conditioner at Costco for a long time. It's better value for your money and it lasts longer. With two of us using the shampoo in the shower we tend to go through it quicker than if it was just me, so the less time between purchasing, the better. I've always loved Dove through and through, but I was open to trying a new line. When Eva NYC asked if I wanted to try out their Clean It Up Shampoo and Soften Up Conditioner, I said yes! My hair is naturally curly so after I've heat styled it in the height of summer, it almost always falls flat and looks dry. With the cooler weather approaching taking care of my hair is on the top of my priority list. I'm trying to grow it out and keep it looking healthy and shiny. So far I'm really pleased with this shampoo and conditioner line. Best part? It's now available at Costco in Canada! This is a silky smooth body oil that smells divine! Verdant Botanicals is based out of Montreal and all of their products are made with simple yet effective natural ingredients. This is another top pick of mine from Indie Apothecary. I was hesitant (are we seeing a trend here? I'm a scaredy-cat!) to put oil on my body, unsure what to expect from it. Now I'm wondering where this has been for most of my adult life! 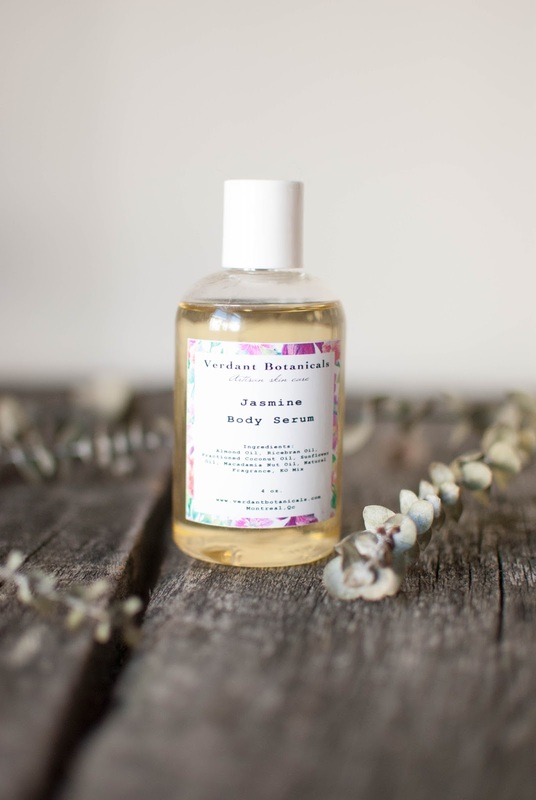 I love a good body butter or moisturizer but there's something to be said about body serums! After a hot bubble bath my favourite thing to do is moisturize my arms and legs with this then put on a big fuzzy robe. The best part is that it doesn't leave you feeling like you just bathed in an oil-slick! There is no greasy residue left on your skin and it takes hydration to the next level. If there's one thing you should try from my favourites this month, it's this! 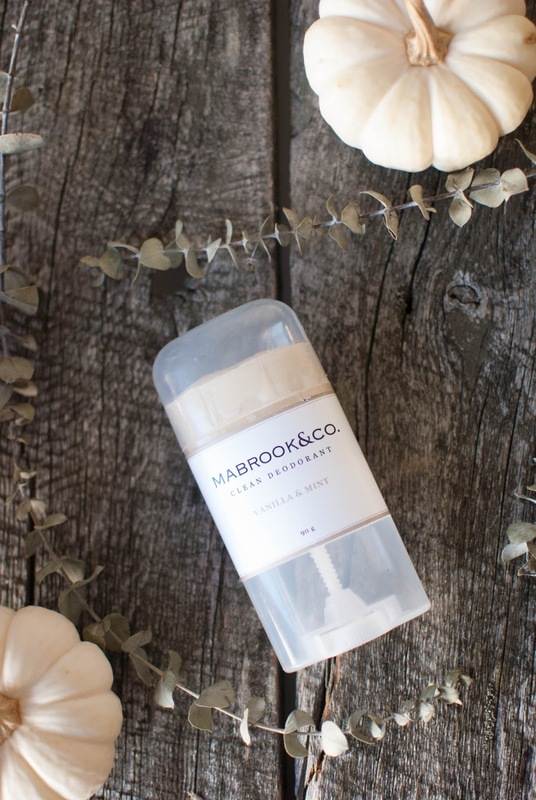 Vanilla and Mint Clean Deodorant by Mabrook and Co. I mentioned how much I love this deodorant in this post and that was a week in. My love for it has only continued to grow! I haven't gone back to big-brand deodorants since making the switch. There have been a few times where I've thought about it before heading out the door to hot yoga, but I've resisted the urge to cave and continued using this deodorant. I honestly love it. What beauty products are you loving this month? 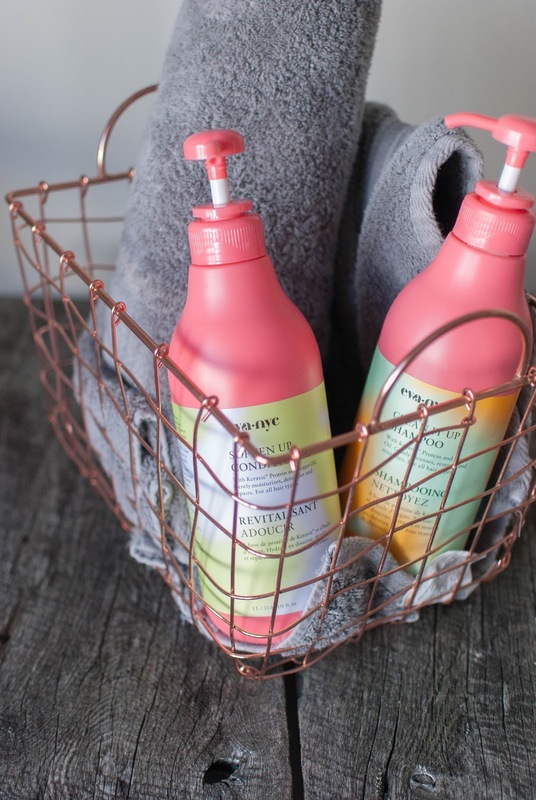 Do you switch over your skin and hair care routines when the seasons change? Do you have any tips for getting your lipstick to wear longer (and not get on your teeth?) I'd love to hear what changes you make with the seasons! Some of these products were sent to me in exchange for my honest review. Opinions are my own.